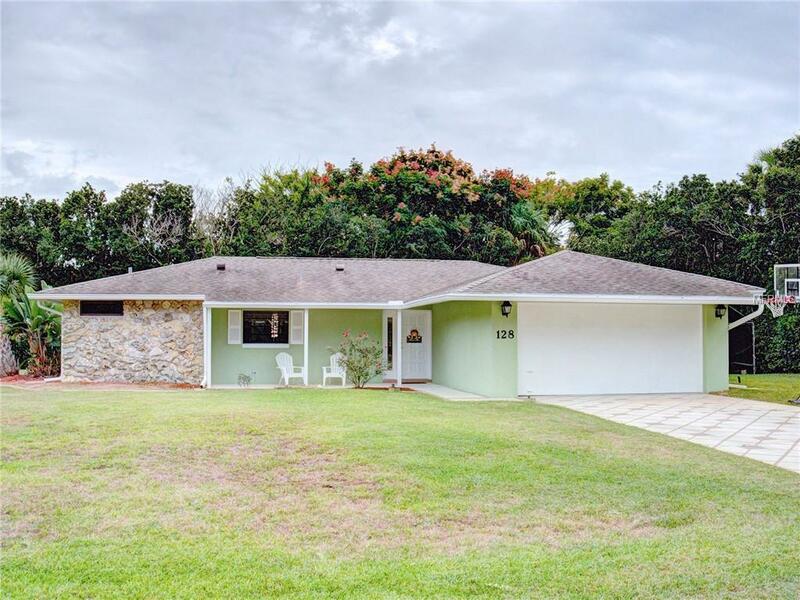 From its architectural shingled roof to the Coquina rock accented corner, this delightful 3 bedroom 2 bath concrete block home is as charming as its picturesque surroundings in the peaceful Corey Estates subdivision and just steps away from the inter-coastal waters of the Indian River. Homeowners in this community enjoy deeded boat access to the river from a private boat ramp and fishing pier which means you can spend the day fishing in some of the best waters in the state. From the moment you enter through the solid wood door, you will admire the crown molding and soft indirect lighting throughout which adds elegance and grace to each room. The Desirable open split bedroom floor plan is bright and cheerful and offers lots of living space in the living room and dining room areas. The kitchen has an easy to work in design with ample cabinet and counter space and a breakfast bar perfect for 2. Other features include the large finished shed with electric and dehumidifier and plenty of room for parking your RV, boat, or ATV in addition to the 2 car garage.